Certain things will never go out of style, they’re classic in their own way, and in most cases, they just get better with time. Our men’s designer 6mm traditional domed polished finish 14k white gold wedding band offers that modern appeal of a bright silver color, with the same quality that gold is known for. The best part, this ring offers both a timelessly handsome look, and an affordable price tag, giving customers the best of both worlds. The best thing about our men’s designer 6mm traditional domed polished finish 14k white gold wedding band isn’t the price tag, it’s the quality. All of our pieces are of the highest quality and will offer a gleam as big as your smile when your bride walks down the aisle. This ring can be customized, with up to 30 characters of custom engraving, including spaces. 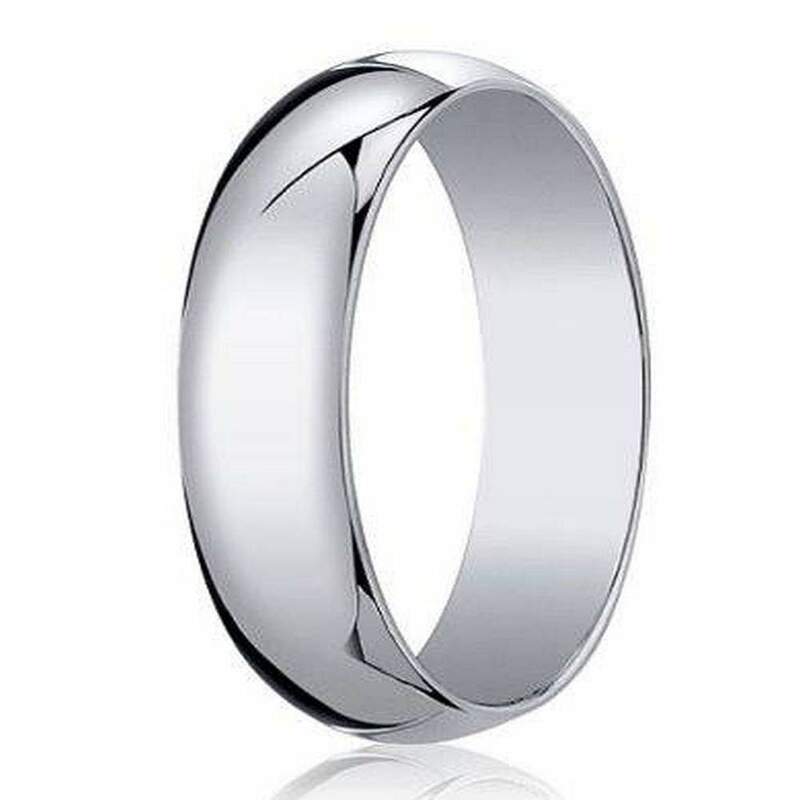 This allows you to add a meaningful lyric, date of the wedding, or something else that will help you to cherish this day and all that our men’s designer 6mm traditional domed polished finish 14k white gold wedding band stands for.